Doberman health is a controversial topic in the doberman community worldwide. Despite modern diagnostic tools (DNA and medical tests) the longevity of the breed continues to decline due to Doberman genetic diseases. There are more and more Dobermans dying at a younger age. Ability to sell puppies worldwide through social media had dramatically changed mentality of many breeders. It seems that more breeders produce puppies purely for profit to supply the demand of online shoppers. And why not? Be honest with yourself: when you see a cute puppy photo online – you are already sold. And majority of puppy buyers won’t even look beyond that. So, why not sell more of those cute puppies if the demand is already high? 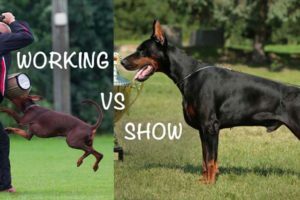 Some doberman genetic diseases are more common in certain types than others (read working vs show dobermans about different types of dobermans). And there are common diseases that are prevailing in the Doberman population worldwide. Breeders from different countries focus on different sets of Doberman genetic diseases. For American Doberman Pinscher the list is most likely to start with wobbler’s syndrome and von Willebrand’s disease. 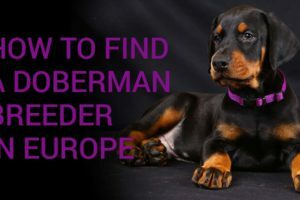 Western European Doberman (working line) breeders focus on thyroid. Eastern European Doberman breeders tend to disclose a variety of eye diseases. Majority of breeders avoid mentioning the most fatal doberman genetic diseases. Perhaps, they don’t want to scare away potential puppy buyers. Below is a comprehensive list of known Doberman genetic diseases in ascending order (from the least severe to the most fatal). Eye diseases are more common in Eastern European Dobermans than American Doberman Pinschers (read american vs european doberman type). Dogs with genetic eye disorders are easily identified during ocular exam by an ophthalmologist. PHTVL/PHPV (Persistent hyperplastic tunica vasculosa lentis/persistent hyperplastic primary vitreous) are rare disorders. The blood vessels on the back of the eye are not fully developed or deformed in fetus. This can cause small pigmentation (dots) on the back of the lens. In more severe cases – bleeding in the eye, cataract, blindness. PRA (Progressive Retinal Atrophy) is an inherited disease of the retina, in which the rod cells in the retina are programmed to die. Cataract – the lens of the eye becomes cloudy and eventually all functional vision is lost. Hypoplasia/Micropapilla – optic nerve disease. In years, that I’m observing the European Doberman breed, I came across only a few cases of serious eye issues in European Dobermans due to inherited eye diseases. Eye diseases are not fatal, but expensive to care for. 2. vWD (von Willebrand’s disease). It’s an inherited bleeding disorder caused by lack of certain protein (von Willebrand factor protein) that is responsible for blood clotting. The vWD disease is easily identified by the DNA test, performed once in a lifetime. The disease appears only if a dog has two copies of the gene. It’s a well known disease and easily controlled with selective breeding. – vWD-affected – have two copies of the gene and are affected by bleeding disorder. Only vWD-affected dogs have bleeding disorder. Nearly half of the modern population of European Dobermans are vWD-carriers (have the gene, but not the disease). It is common to breed vWD-clear to vWD-carrier. 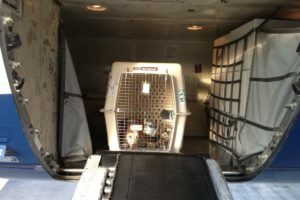 Breeding carrier to carrier will produce partially affected litter (some puppies will be affected). vWD-affected dogs should not be bred. In general, Dobermans develop only a mild form of this disease. So, even affected dogs can live long life with proper management of the disease. vWD-affected Dobermans are more common in Western European (working) lines, and American Doberman Pinschers. I have not come across a vWD-affected Eastern European dobermans. If you wonder why not eliminate even vWD-carriers – the answer is: genetic diversity. Each gene is responsible for many traits than just one known disease. Eliminating vWD-carriers will wipe out a large genetic pool, that the breed so desperately needs. And there are breeders that are willing to breed vWD-affected dogs in order to diversify the population. 3. HD – Hip dysplasia (and elbow dysplasia – ED). In other words it’s a badly formed hip that restricts movements. The disease progresses as the dog ages. 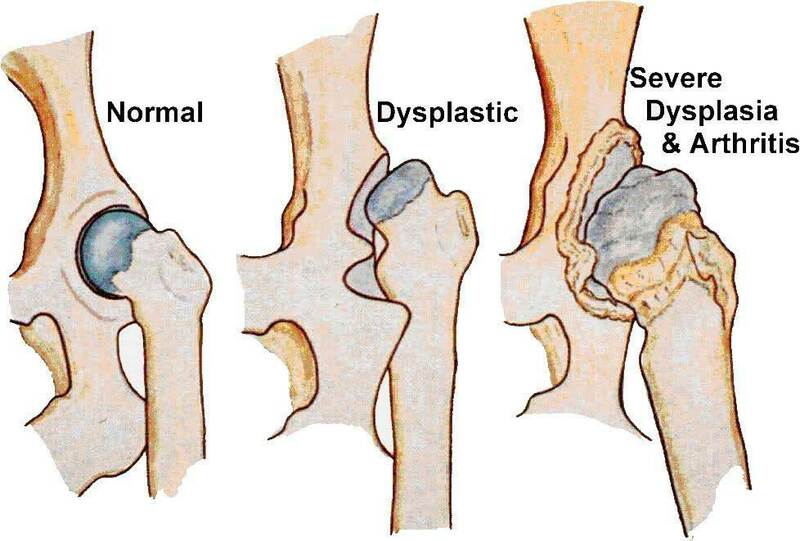 Hip and elbow dysplasia are identified with X-Rays when a dog is about 2 years old (when the bones are fully formed). Usually, the hips are rated as Excellent (HD-A), good (HD-B), fair (HD-C), and downhill from there. Ideally, you want a dog with HD-A or HD-B rating. Hip dysplasia was a big problem in the breed about 20-30 years ago. To the point that it was made mandatory for all dogs to send x-ray results to the main registry in Germany. Dogs with hip dysplasia were banned from breeding. This is still mandatory for German Shepherds since it’s an acute issue for that breed. Hip issues still occur in Dobermans. So, when buying a puppy, just make sure that both parents were old enough when X-Rays were taken. Demand to see veterinary certificates. Dogs with hip dysplasia should not be bred. It’s a thyroid hormone insufficiency. Dysfunction of thyroid gland when it’s not producing enough hormone to maintain dog’s metabolism. Diagnosed by blood test analysis. I didn’t come across thyroid issues in Eastern European Doberman, but it is more common in Western European Doberman (again referring to working vs show dobermans) and American Doberman Pinscher (read american vs european doberman type). For breeding purposes in Eastern European dobermans the test is performed once in a lifetime, but it is advised to repeat the test as the dog gets older. In Western European lines and American Doberman Pinscher – thyroid is tested more often (annually?). Hypothyroidism is easily (and inexpensively) controlled with daily medications. And just like with von Willebrand’s disease – there are some breeders that are willing to breed dogs with thyroid insufficiency in order to diversify the gene pool. If left untreated – hypothyroidism can lead to serious autoimmune issues. 5. DM (degenerative myelopathy), CVI (cervical vertebral instability – aka Wobbler’s syndrome). DM and CVI are genetic spinal diseases. Degenerative myelopathy in dobermans usually affects rear limbs. Wobbler’s syndrome is specific to cervical vertebrae – a spinal cord compression that can lead to neck pain and paralysis. There is a DNA test for DM, performed once in a lifetime. I think CVI (Wobbler’s) is identified only after a dog shows signs of the disease. It’s not a very common disease in Eastern European lines, but it happens occasionally. I more often see DM/Wobbler’s discussions about American Doberman Pinschers. Cancer in Dobermans is rapidly spreading, taking the second place as a cause of death in Dobermans worldwide. It is a silent killer that is difficult to spot until it is too late. There are no genetic tests allowing to screen Dobermans for genetic cancer predisposition. As you probably know – some forms of cancer are environmental (acquired). Like lung cancer in people who smoke, or skin cancer in people who exposed to sun. In dogs, environmental cancer largely points out to commercially produced dog food (kibble). For that reason, there are many veterinarians advocating for home-made or raw diets for all dogs (not only Dobermans). Read about better dog food options. Inherited cancer or cancer predisposition is clearly traceable from generation to generation in some bloodlines and can be tied to certain popular dogs in pedigrees. Unfortunately, cancer is not the problem number one for the Doberman breed and breeders often just ignore it when selecting mating partners. This is a complex genetic disorder and is the leading cause of death of the Doberman breed worldwide. 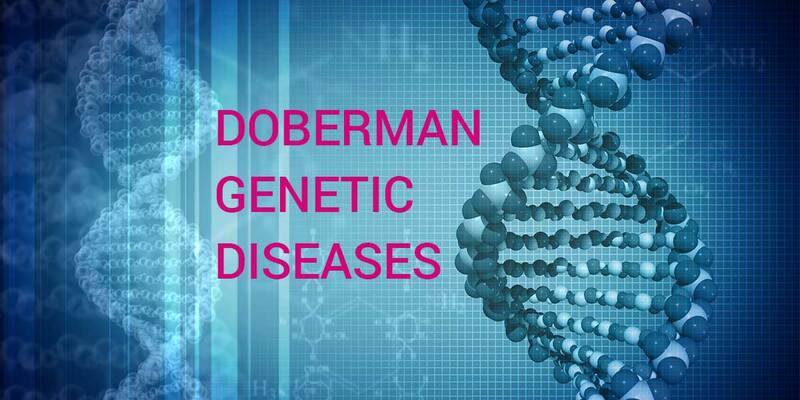 Doberman DCM is a genetic disease of a heart muscle which becomes progressively weak and eventually leads to heart failure. Dogs literally drop dead. DCM is the main reason for decreased longevity in the breed. It is suspected that about 70% of Dobermans worldwide are affected by this disease (as of 2017). At the rate the disease is spreading, by 2040 , 100% of the Doberman breed will be affected. In some dogs the disease occurs at a later age (around 9 years old or older), but there are more and more dogs that die from DCM at a younger age. Many popular studs (that already produced hundreds of offsprings) get diagnosed at the age of 4 yo. 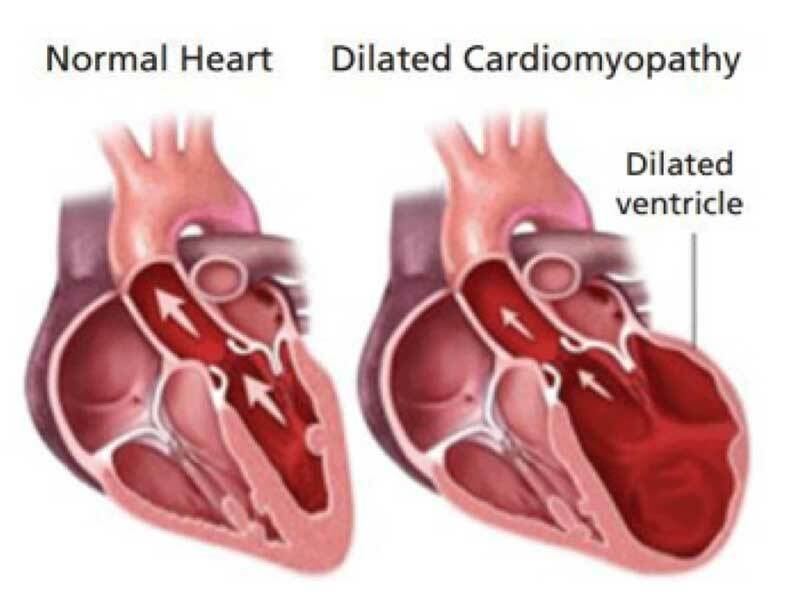 In a nutshell – the disease can only be reliably identified with annual heart tests – 24 Holter monitor and Echo-Doppler test. DNA test is inconclusive and as of 2018 still means nothing and are not reliable for breeding. Actively bred dogs must be tested with Holter and Echo-Doppler annually and within a year prior to mating. So, if you see that parents of the litter are “Cardio free”, “heart tested”, “DCM DNA clear” – this means nothing. DEMAND to see authentic certificates (signed by a veterinarian cardiologist) for 24 Holter monitor AND Echo-Doppler (both, not just one). If the test is older than a year, if the breeder refuses to show you the certificates, if the breeder relies on the DNA test only – DO NOT BUY FROM SUCH BREEDER. You are more likely to end up with a puppy that will drop dead in a couple of years. Also, my advice – don’t buy puppies from very young parents. Genetic diseases tend to manifest themselves in mature dogs. DCM is an acute issue for the breed and a complex topic that I’d like to discuss in a separate article in more details (the article is coming soon). – Autoimmune disorder is when dog’s immune system attacks its own cells. It is suspected that vaccination is the main trigger of autoimmune disorder, but it is unclear if some dogs are genetically predisposed to it. – Kidney dysplasia is when kidneys don’t mature and at some point can no longer extract toxins from the body. – Entropion – is an inverted eye lid. – Epilepsy is a neurological disorder and causes abnormal brain cell activity. Obviously, dogs that developed these diseases should not be bred. And parents, who produced such an offspring should not be bred together again (but can be bred to other dogs). – Color dilute alopecia and albinism are specific to American Doberman Pinschers only. This is due to unregulated breeding practices in the US that allowed breeders to create variety of colors in Dobermans. It is in high demand among uneducated puppy buyers, who don’t know what health issues are behind multi-colored Doberman Pinschers. There are only two acceptable colors of Doberman in Europe – black and brown. In the US – there are also blue and fawn. Color dilute is genetic hair loss and skin issue that causes dog to suffer from severely dry skin, hair loss and bold patches. Color dilute is an essential disorder of every blue and fawn doberman. Albinism (white doberman) was also produced in the US and turned out to be an incredibly sickly type. Luckily, they now ban albino dobermans (and those, carrying the gene) from breeding. Breeders will always breed. For decades they were unable to resolve minor (like eye disorders) or life-threatening health issues (DCM being the major one) in the breed. Unregulated breeding practices led to creation of more severe doberman genetic diseases. Doberman organizations worldwide are ignoring health situation in the breed, focusing on beauty contests and easy money. Doberman clubs in some countries don’t even regulate breeding practices, which allow breeders to put any two dogs together and profit from the result. While we – buyers and breed fanciers – have to watch our dogs suffer and die, spending thousands of dollars on vet bills. And until we – buyers and breed fanciers – are willing to blindly pay for a cute puppy – this will not change. When looking for a puppy – make sure both parents are tested for all known genetic diseases. As you can see – doberman genetic diseases list is long. Don’t trust what’s written on the websites, social media posts or words of the breeder. Demand to see proper and all test certificates. If a breeder doesn’t show all or some of the health certificates – this should be alarming. If you leave health concern to chance – chances are high you will have to pay for it later.